In need of a great gluten-free tortilla recipe or have you been searching for wraps that are gluten-free? The Best Gluten-Free & Vegan Tortillas make the perfect pliable and foldable wraps ready for your favorite fillings or served alongside your favorite Mexican meals! They only take 4 ingredients, are super simple and easy to make, and absolutely delicious! One of the things I love most in this world is a good, authentic Mexican tortilla. 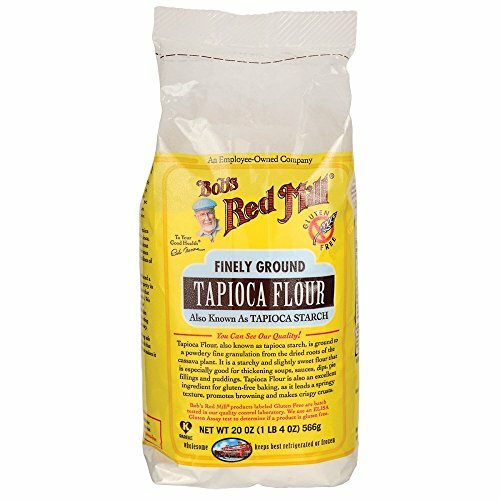 Since becoming gluten-free I've settled for less than perfect tortilla alternatives -- until now that is! After much experimentation, I came up with these beauties! They are soft, pliable, tasty, healthy, super easy to make, heat well, store well -- you name it! I am in LOVE. If you're looking for the perfect gluten-free vegan tortilla for your Mexican food needs or a wonderfully pliable and foldable gluten-free vegan wrap ready for your favorite fillings, this is it! I cannot wait for you to give it a go and tell me what you think! Be certain to let the heated dough cool sufficiently (do not burn your hands!). 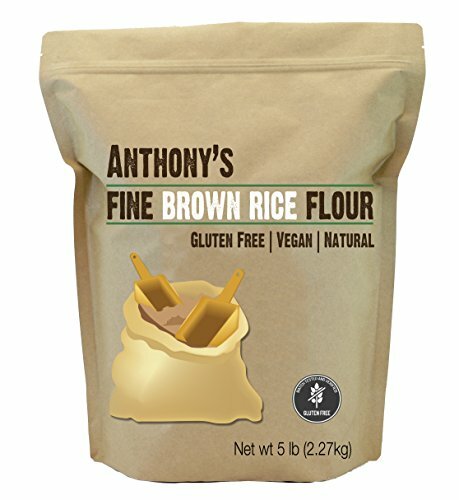 I would suggest not substituting the flours for any other flours, as I discovered this combination through much experimentation and it is what produces the best result (pliable wraps!). Do not be afraid to knead the dough thoroughly. 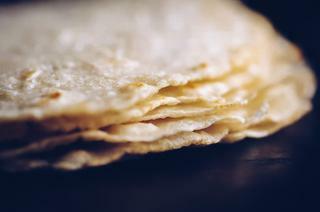 The more you knead, the smoother the tortilla dough becomes and the easier it is to work with. If you would like to make the tortillas at another time, you can prepare the dough balls ahead of time and store them in the refrigerator in an air-tight container for up to 4 days before cooking them. I highly suggest using the parchment paper method I suggest for rolling out the dough. It greatly reduces the stickiness factor and produces the best tortilla wraps. You can experiment with the heat level to produce the results you would like. If you plan on using the tortillas for quesadillas or the like, you might want to cook longer on higher heat for a slightly crispier result. If you intend using them for wraps, cook on medium or even low-heat for only about 1 minute each side for the softest, most pliable results. It is a versatile recipe! The Best Gluten-Free & Vegan Tortillas that make the perfect pliable and foldable wraps ready for your favorite fillings or served alongside your favorite Mexican meals! They only take 4 ingredients, are super simple and easy to make, and absolutely delicious! In a saucepan over high heat, add water and bring to boil.Once boiling turn off heat.Stir in remaining ingredients and stir vigorously until combined (it will look a tad crumbly at this stage, do not worry). Let sit until cool enough to handle; about 7-8 minutes.On a parchment paper lined cutting board or countertop place your dough and knead until you can form one smooth round ball of dough.Divide dough into approximately 16 rounded tablespoon portions. Form into smooth dough balls.Heat a non-stick or cast iron skillet over medium heat.Dust your parchment paper with tapioca starch. Place one dough ball portion on top and then place a new sheet of parchment paper on top of your dough. Using a rolling pin, roll out your dough in between your parchment paper sheets until you have one thin round tortilla shape.Carefully peel back the parchement paper and place your tortilla onto your hot skillet.Cook 1-2 minutes, flip, cook 1-2 minutes longer until beginning to brown on each side.Repeat with remaining dough.Serve right away, or keep wrapped in a tea towel for use the same day, or place in a covered container in the fridge for use up to 4 days, or freeze!Enjoy!